Kristina Riggle’s novel, The Whole Golden World, focuses on a romance between a high school student and her popular teacher. She also happens to be the principal’s daughter. TJ Hill has become disenchanted with his suddenly lackluster marriage. He loves his wife, Rain. But she has been so consumed with getting pregnant that all the fun has gone out of their lives. Now it’s all about doctor’s appointments and schedules instead of love and intimacy. TJ sees that Morgan is attracted to him. They begin to talk after class. He pretends he doesn’t see that she is falling in love with him. For TJ Hill is in love with who he is in her eyes. He suddenly feels like a hero. Of course this spirals out of control pretty quickly. They begin to sneak around. At first they are careful. But as time goes on, they become reckless. And suddenly policemen are pounding on the window of his car and she is found half naked. There is a trial. Rain believes her husband is innocent. She stands by his side, as any wife would, she tells herself. But over time, there are little clues here and there that say he isn’t as innocent as he says. He is swearing up and down that Morgan is a sick girl and delusional. That she is just trying to get back at him for turning her away. Morgan’s family has been decimated by this tragic event in their lives. Their daughter insists she loves him, and he loves her. That she will do nothing to hurt him or send him away. They are frustrated by her insistence that they are “equals.” It doesn’t help that she sits behind him every day in court. I won’t spoil the outcome. For this book is one to savor. Riggle is deft at being each one of her characters. She has remarkable insight into getting inside their heads and drawing out their personalities. Sometimes it is hard to believe that the story is fictional. It is in fact based on a true story. I will tell you that Morgan ultimately proves just how much of an “old soul” she actually is. She draws on a strength she didn’t think she was capable of. In the face of scorn from her classmates and backlash from the town residents, she holds her head high when she returns to school and is met with stares and whispers instead of compassion. And finds she is suddenly friendless. This is a book you won’t want to put down. A thought provoking look at the inherent power a teacher has over his student, although he may not be much older than she is. And why it is considered exploitation of his power as her teacher. 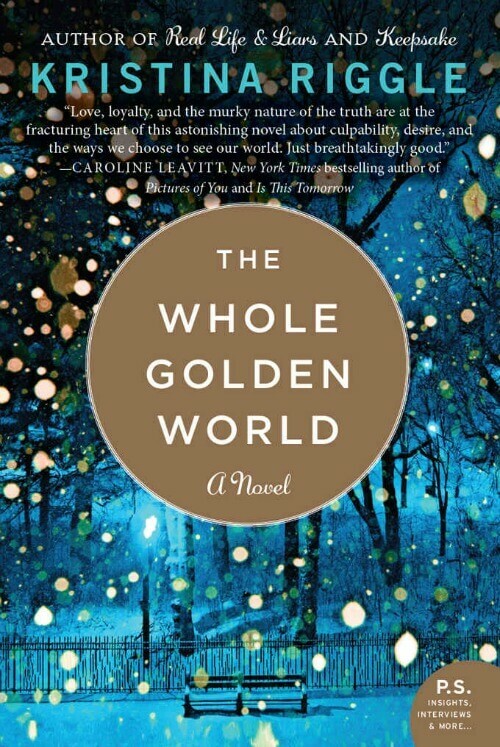 The Whole Golden World is told from the perspectives of three remarkably strong women. It is both shocking and unforgettable. 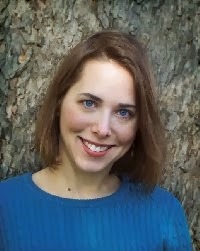 Kristina Riggle is also the author of Keepsake, Things We Didn’t Say, The Life You’ve Imagined, and Real Life & Liars. She lives in Grand Rapids, Michigan with her husband, two kids and dog. *This is part of a marketing campaign by William Morrow/Harper Collins. I am sent the galleys to read free. But the opinions I have of the novel are mine and not swayed in any way by the campaign. This sounds like a good read! I will have to check it out! Oh wow, this sounds good! Thanks for the review, I'll put this on my list! Wow great book review! I have never seen such a full, detailed and enticing review on a blog before. Very well written. I definitely have to look out for this one. Very interesting…I will check this one out. Thank you for sharing.